Please accept this offer as our new customer. We appreciate your business. 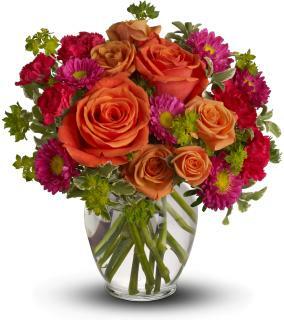 Lafayette Florist | Flowers... | Same Day Flower Delivery Since 1984. Spedale's Florist, one of the leading florists in Lafayette LA, provides beautiful flowers, floral arrangements, plants and gifts for all occasions. When you search for "flower shop near me", Spedales is your Locally & Family Owned Lafayette Louisiana flower shop. Need a flower delivery in Lafayette LA? Order now for the best flower delivery. Spedale's Florist for delivery for flowers, it doesn't get any better. Flower ordering is quick and easy. Flower Delivery in Lafayette, La | Flowers.. | Flowers Send | Top Florist in Lafayette, LA. We are proud to be considered one of the best flower shops in Lafayette and in Louisiana. Flowers delivered same day. 24 Hour online ordering of flowers. Spedale's is your home for online flower sending, online flowers delivered, and online delivery of flowers. We are your local florist when searching flowers shop near me. We also offer next day delivery flowers as well as send flowers same day. Flowers. | Delivery for flowers? Need flower delivery in Lafayette? Browse the Spedale's Florist website and order online, or call our flower shop in Lafayette, Louisiana and speak with our experts. Spedale's Florist, a local floral shop, offers same day delivery of beautiful unique flower arrangements, easiest flower ordering and sending online flowers. Monthly Flowers are available. As the leading florist in Lafayette LA, and surrounding area, when you need a Lafayette Florist look no further. Spedale's Florist, a top flower shop with the best delivered flowers, is a name you can trust. We are your florist that deliver near me. Spedale's is here for your delivery of flowers. There are many florists in Lafayette, please know we appreciate you and value your business. We want to be your florist in Lafayette. Great job creating a beautiful bouquet for my aunt in the hospital. All done online and by email and I appreciated the emails checking to make sure it would be what I wanted. Delivered timely, good price. Good customer service. I just called and had a question and the lady helped me with the fastest way and was very nice. I’ll be placing my order soon. Couldn’t be more pleased. Was out of town and needed help with a birthday arrangement. The staff couldn’t have been more courteous and amenable. They really went the extra mile to not only make something beautiful for my lady’s special day but to contact me afterwards. Would recommend to anyone and will definitely use again. Excellent communication and customer service. Speedy response to questions. Would 100% recommend their services to anybody. Spedale's Florist, florist in Lafayette LA offers flowers delivered the same day to Breaux Bridge, Broussard, Carencro, Duson, Lafayette, Maurice, Milton, New Iberia, Saint Martinville, Scott and Youngsville. Lafayette – 70501, 70502, 70503, 70504, 70505, 70506, 70507, 70508, 70509, Breaux Bridge – 70517, Broussard – 70518, Carencro -70520, Maurice – 70555, Milton - 70592, New Iberia – 70560, Scott - 70583, Saint Martinville - 70582, Youngsville - 70592, 70501, 70502, 70503, 70504, 70505, 70506, 70507, 70508, 70518, 70520, 70529, 70555, 70578, 70583, 70584, 70592, 70593, 70596, 70598 Along with being a Lafayette Florist, Spedale's is unique as we are also a florist wholesale. As a florists wholesale, one of two florists wholesalers in Lafayette, we sell bulk flowers to other Florists in Lafayette and Louisiana Florists. We also have the largest flower selection in Lafayette. Florist in Lafayette LA delivering to Calvary Cemetery, Raphael & Sons Funeral Home Inc, St Genevieve Church Cemetery, Holy Mary Mother-God Cemetery, Lafayette Memorial Park Cemetery, Delhomme, Francis F, Richard Journet, Holy Mary Mother of God, Lafayette Memorial Park, St Joseph Cemetery, Guidry Funeral Home Inc, Arceneaux Cemetery, Mercy Shrine Cemetery, St Joseph Cemetery, Acadian Funeral Home, Carney Funeral Home, Delhomme Funeral Home, Evangeline Funeral Home, Fletcher Funeral Home, Fountain Memorial Funeral Home, Golden Meadows Funeral Home, Kinchen Funeral Home Trahan Family Enterprises, Melancon Funeral Home Inc, David Funeral Home, Martin & Castille Funeral home, Pellerin Funeral Home, Raphael Funeral Home, Syrie Funeral Home, Walters Funeral home, Louisiana Crematory Services. Spedale's Florist and Wholesale, a Lafayette Florist, in Lafayette, Louisiana, same day flower delivery. For best delivery flowers, we are your choice. 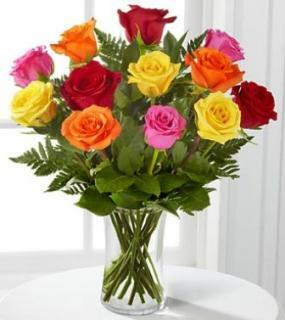 Sending online flowers is easy at Spedale's as we off the best flowers on line. No matter the places to deliver, call on us. We specialize in creating unique handcrafted floral designs for delivery flower service or pickup. When shopping for florists in Lafayette LA, rest assured Spedales Florist, has been voted Best Flower Shop and Best Florist in Lafayette for the past 5 years by Locals Love Us. Considered one of the best Lafayette flower shops for Lafayette Flowers. We are proud to be considered one of the best florists Lafayette and offer the best flowers in Lafayette. 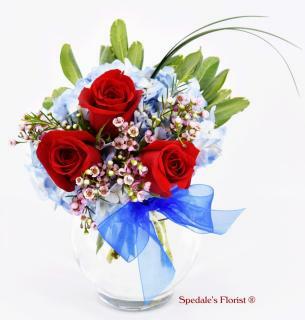 Spedale's offers same day delivery of floral arrangements. 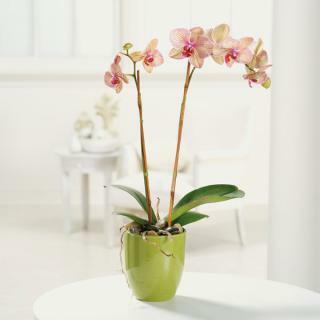 Best Lafayette flowers, Lafayette flower delivery, roses, plants orchids, sympathy, funeral and wedding flowers. Spedale's Florist is a locally owned florist by the Spedale Family in Lafayette, Louisiana since 1984. We are proud to be considered the best flower shops Lafayette. 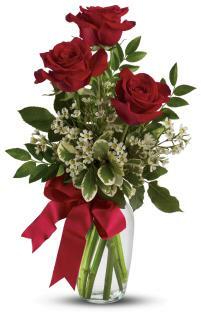 Also being a wholesale florist, we have the largest selection of flowers in Lafayette for delivery. Being one of only two florists wholesalers in town, we offer floral wholesale and wedding flowers wholesale. We pride ourselves in the quality of our long lasting flowers, designed by local florists, delivered the same day to Lafayette and the surrounding areas. Have you searched for Scott flower or Scott florist, Spedale's delivers to Scott LA also. No matter the flower for delivery, the occasion, Spedale's Florist with our delivery flower services in Lafayette, LA will create beautiful floral arrangements for you. If you need to send a funeral or sympathy arrangement, birthday arrangement, get well arrangement, anniversary arrangement; make Spedale's Florist your flower shop of choice. We also provide flowers for other occasions as a new baby arrangement, corporate flowers, thank you arrangement, rose arrangement, just because arrangement, congratulation arrangement, I'm Sorry arrangement, and prom flowers, corsage and boutonniere. Plants for gifts also available. We have the cheapest flower prices in town. So when you search for best flower shop near me, with discount flowers, our flower shoppe is known for our online ordering of flowers and online flowers delivered. Hands down, Spedale's offers the best delivered flowers and we delivery flowers today. Wedding flowers Lafayette, Lafayette wedding florists, for bridal flowers in Lafayette, La. Spedale's Florist in Lafayette specializes in creating wedding floral designs of your dreams. Our wedding flowers include Church arrangements, reception arrangements, bridal bouquets, wedding party flowers. Spedale's Florist, for wedding flowers Lafayette, loves being part of your special day. We are your home for wedding flowers Lafayette. Same day flower delivery, designed by professional florists, and supervised by a Louisiana Master Florist, Spedale's Florist in Lafayette, Louisiana is highly ranked in all reviews. Online ordering, email ordering, fax ordering, or call in your order. We gladly serve the residents of Lafayette and all the surrounding areas. Our flower shop website allows for 24/7 online ordering of your flower delivery. You can also send flowers by email. Of all the florists in Lafayette, when you are looking for the top flower shop with cheap flower delivery service, call us. Since we are a local flowershop, you can trust that we know the community and the floral designs preferred in Lafayette, La. When you need to delivery flowers online, we have been delivering flowers and plants since 1984. We use the best flowers on the floral market and truck them in direct. The freshness of our flowers is 100% guaranteed. Spedale's Florist, while located in Lafayette, is also considered a Breaux Bridge Florist, Broussard Florist, Carencro Florist, Duson Florist, Lafayette Florist, Maurice Florist, Milton Florist, New Iberia Florist, Saint Martinville Florist, Scott Florist and Youngsville Florist. Spedale's Florist, florist in Lafayette LA delivers to the following Hospitals: CrossRoads Support Center, Genesis Behavioral Hospital, Lafayette General Hospital, Physician's Behavioral Hospital, St Lukes Specialty Hospital At Sunset, Acadiana Medical Research Foundation, Crown Room At Johnston Street Market, Flex Medical Staffing & Training, Greater Lafayette Physician Hospital Organization, Lafayette General Medical Center, Heart Hospital of Lafayette, One Touch Medical Staffing, Outpatient Surgergy, Quality Medical Staffing Agency, Sourcecorp Healthserve, South Louisiana Community College, Surgery Center Inc, Dr Joseph Henry Tyler Jr Mental Health Center, Franco-Fete Program, Lafayette Addictive Disorders Clinic, Lafayette General Hospital, Lafayette General Southwest, Lafayette Surgical Center, Lafayette Surgical Hospital, Lafayette Women Work Louisiana, Laser & Surgery Ctr, Meadowbrook Healthcare Inc, Occupational Therapy P T Rehab, Optima Specialty Hospital, Park Place Surgical Center, St Brendan Rehab Spec Hospital, West End Hospital Out Patient Center, Mahogany Hospice Of Louisiana, Anson Emergency Group, Inc, Heart Hospital Of Lafayette, Lafayette Surgical Specai, Lafayette Surgical Specialty Hospital, Louisiana Extended Care of Lafayette, Louisiana Stat of Hlth & Hospitals Dept Of; Hlth Ser, Meadowbrook Specialty Hospital, Our Lady of Lourdes Regional Medical Center, Priority Medical Staffing, Southpark Community Hospital, U S Radiology Partners Of Louisiana, Inc., Surgery Center, Oceans Behavioral Hospital, Longview Psychiatric Hospital, Vermilion Hospital Of Texas Inc, Acadia-St Landry Hospital, Bergeron Francis L Jr, Saxton & Saxton, Abbeville General Hospital, Lafayette General Hospital, American Legion Hospital, Pauline Faulk Centre For Behavioral Health, Phoenix Behavioral Hospital, Compounding Pharamacy Of Scott, Womens & Childrens Hospital, University Medical Center.